This teaser for the next Carpool Karaoke will have you voguing and twerking in no time. Oh, yay! 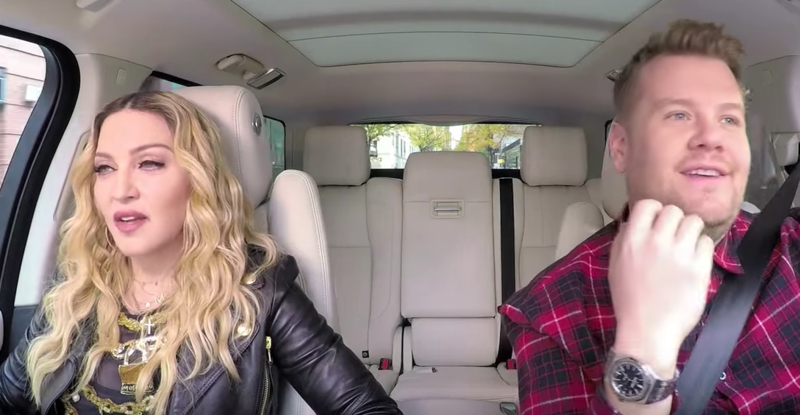 A new Carpool Karaoke is on its way and this time Madonna is in the passenger's seat. I’ve found this 50-second teaser that shows the 'Queen of Pop' riding in a car with James Corden. The 'Queen of Pop' speaks about the late, great 'King of Pop', Michael Jackson, starts twerking in the front seat, and, of course, it wouldn’t be complete without her famous Vogue sequence.